To put it in the simplest possible terms, you really can’t beat a concrete driveway. The surface is amazingly durable, it stays even and, when it does take some abuse, driveway refinishing and driveway resurfacing can usually restore it to look like new again. For many years, cement has been the preferred choice of homeowners who have the option of installing a surface on their own driveway. Today, a concrete driveway can be much more than a simple gray slab. Cement driveways can be decorated with designs that give them a lot of class. If you already have a concrete driveway, driveway refinishing can restore the surface’s protection against petroleum products, the environment and other persistent hazards. With the right contractor on the job, driveway resurfacing can make a very beat up driveway look like new. The great thing about a concrete driveway is that a service such as driveway resurfacing is more than a cosmetic process. Oftentimes, the materials used for the driveway refinishing are more advanced than those used originally, simply because concrete lasts for such a long time. 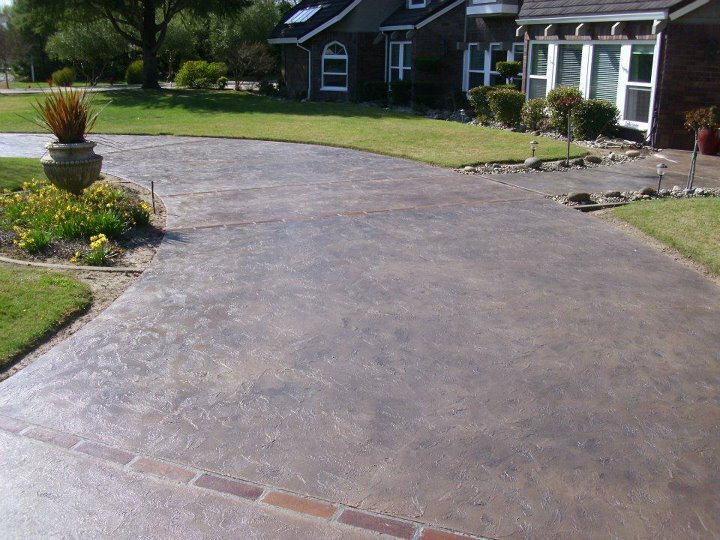 Cement driveways can give homes a very elegant look. With sophisticated customizations, such as decorative colors and textures, a concrete driveway can become something of a showpiece in and of itself. Plain gray slabs can be updated via a concrete refinishing service, so don’t feel like you’re stuck with a driveway that doesn’t fit with your home’s overall elegance. In addition to all of these advantages, concrete is a very green building material compared to many other options. Sierra Concrete Resurfacing can provide homes in the Sacramento and Bay Area regions with beautiful driveways that will last for many years. If you have questions, be sure to contact one of our agents. They can provide you with all of the information you need about getting a concrete driveway updated or installed.